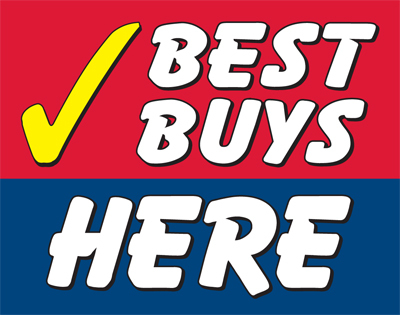 Our Best Buys Here Car Flags are split into two, with an upper red field emblazoned with bold white text that reads "Best Buys" and a lower blue field with the word "Here" printed in bold white letters. 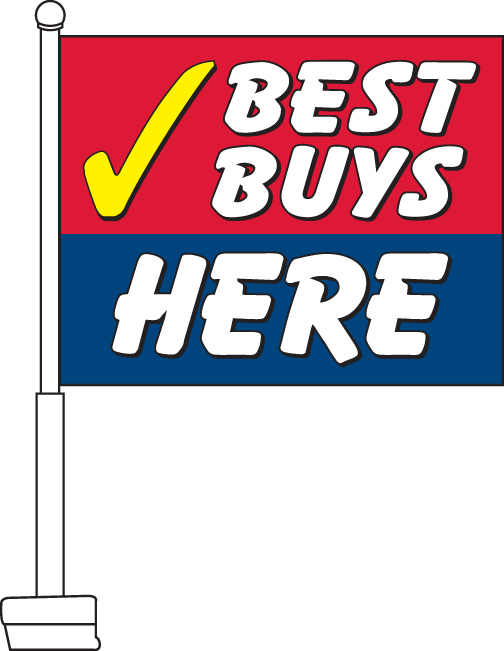 This flag is ideal for car dealerships seeking to highlight a particular vehicle within their lot. It can also be used more generally to decorate multiple cars in the lot. 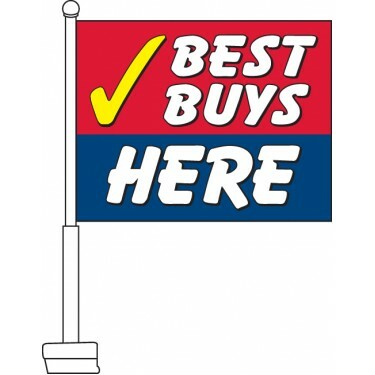 If you are looking for a striking car flag to promote bargain-priced vehicles, then this is the perfect choice.